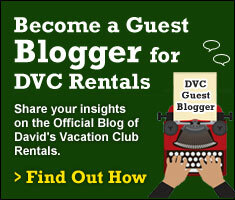 Five months ago I gained a position with David’s Vacation Club Rentals. This family operated company is undeniably amazing. 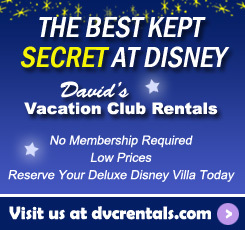 In May I was given my “research trip” – the chance David provides us to go to Walt Disney World and learn about the Disney Vacation Club (DVC) resorts. We go to live and breathe the Disney experience, feel the excitement and bring back insight from the “WORLD” to share with our guests. My week at Bay Lake Tower was nothing short of magical! This is my resort – I loved the décor, atmosphere and that I felt safe to enjoy the beauty at any hour. It was awesome to have access to shops, food and of course, the monorail – all just a skywalk away. This resort is wonderful for enjoying the beauty of water – from the fountain in the courtyard, the zero entry pool with water slide, the pseudo beach and water pad, and even a musical light parade on the lagoon. I do recommend taking in the hot tub for a perfect midnight view of the lake. I was able to enjoy the resorts and all the parks at their best with David and Cathy as personal guides, ensuring I had the ultimate experience. The dining was great, like the Character Breakfast – we all should get a Goofy hug! So were the must try attractions – I’m not going to lie… I decided the Twilight Zone Tower of Terror may have been fun, once I recovered from the 15 minutes of shaking. 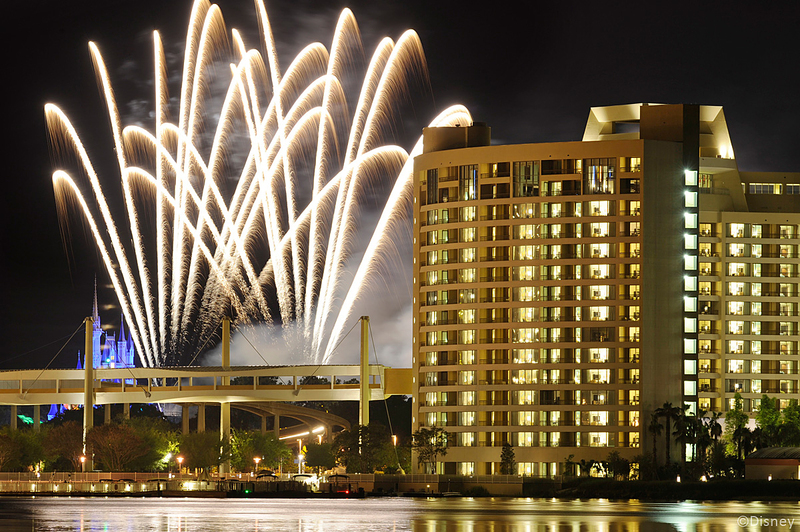 The spectacular fireworks displays were a definite highlight and I had opportunities to take those in twice a night. “IllumiNations: Reflections of Earth” is a beautiful must see at Epcot and “Wishes Nighttime Spectacular” at Magic Kingdom defines Disney. I was fortunate to take in two views… one from the Top of the World Lounge at Bay Lake Tower and then of course, from in front of Cinderella Castle. The highlight was the “The Magic, The Memories, and You!” castle projection show with all those moments capturing the spirit of happy hearts. I loved seeing the wonder of childhood in everyone there with adults wearing Mickey Ears and children dressed as their favorite characters.